Ed Tech/Web 2.0 Tools for Educators and Students: Convert document, sound, video, images and other file types with Zamzar. 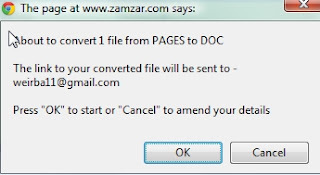 Convert document, sound, video, images and other file types with Zamzar. This blog post isn't really about a web 2.0 tool. It is however about a tool that can be extremely important to educators. As students and other colleagues buy and use different software programs other than the ones you use you may get email attachments or files on flash drives that just don't load or work on your computer. An example would be if a colleague from another district emailed you a ".pages" document which come from the Apple program called "Pages." You happen to live in a district that only uses PCs and your computer only has the Microsoft Office program. You are now stuck because you cannot view the file that was sent. One solution would be for you to email your colleague back and suggest that they save their ".pages" file into a different format. 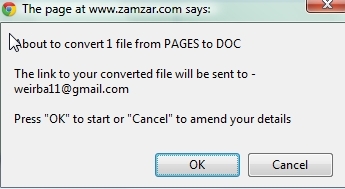 That could take time and even be annoying, so why not try using an online no download program called "Zamzar." 2. 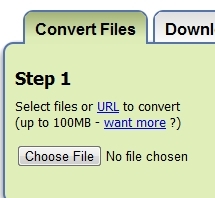 On step 1 click the "Choose file" button. 3. 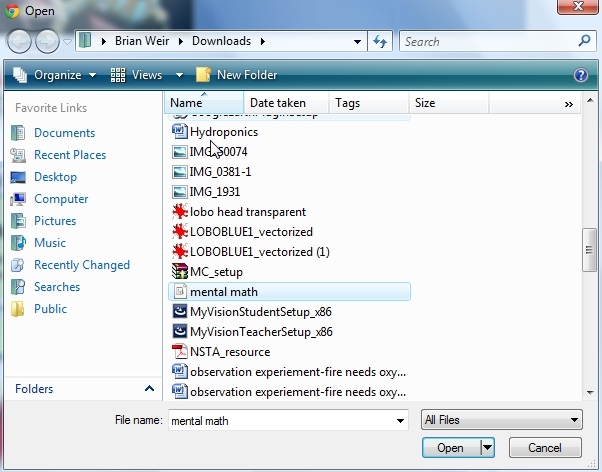 Navigate to the folder that contains the file. Double click on the file or click on it and then click the "Open" button. 4. Go to step 2. This program is pretty intelligent so it will detect the program type and give only correct options for you to convert your file. 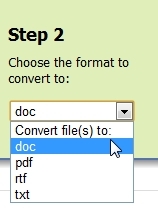 In this case it give me the .doc, .pdf, .rtf, .txt options. If it were a different file type it would give me different options. 5. 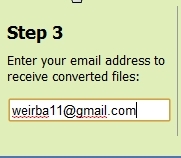 In step 3 type on your email address. 6. 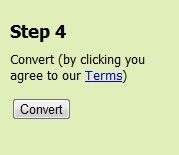 Now click the "Convert" button, and the conversion will begin after you click the "OK" button in the popup dialogue box. 7. Down below you will see the file conversion progress bar. 8. Now go to your inbox and find the email from "Zamzar Conversions." Note that it can take some time to convert. If you are converting a large video file you will have to wait a bit for Zamzar to do it's magic. 9. Once into the email click the Alternative link. 10. Find the "Download Now" button and click it. 11. 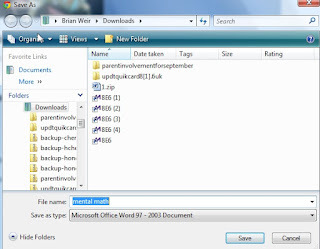 Depending on which browser you use and how you set up download, download the file in the location of your choice. 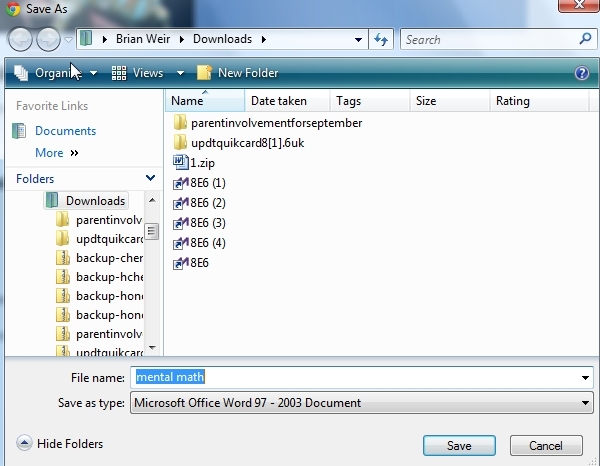 You can now locate that file and open it in the program that goes to that file type. This really neat educational tool is useful for many different file conversion types. Give it a try and see if it will work for you. The conversion of the file is usually done by the application that it was created with, though there are also various third-party tools to perform it. Most file formats can be disassembled with a hex editor. Thanks a lot!